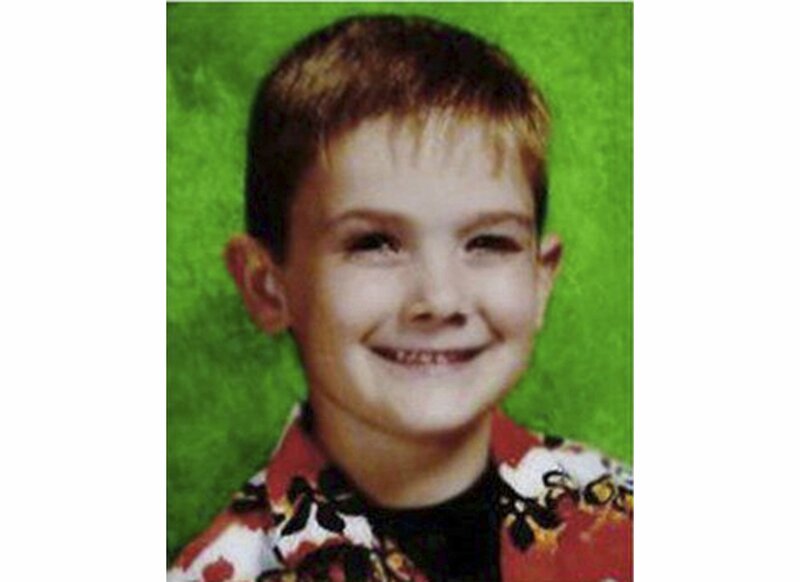 AURORA, Ill. — Eight years after an Illinois boy disappeared, his family began to think that their nightmare might be over at last. A young man found wandering the streets of a Kentucky town claimed he had just escaped from two men in the Cincinnati area who held him captive for seven years. And he told police his name was Timmothy Pitzen. It didn’t seem possible that someone so far away could make up such a story. So for a day and a half, relatives waited and hoped for a breakthrough. Then on Thursday came devastating word from the FBI: DNA tests showed that the person was not Timmothy, a boy from Aurora who vanished at age 6 in 2011, around the time of his mother’s suicide. “It’s like reliving that day all over again, and Timmothy’s father is devastated once again, as are we,” said the boy’s aunt Kara Jacobs, her voice choked with emotion. Authorities said the person claiming to be 14-year-old Timmothy was actually a 23-year-old ex-convict who was recently released from an Ohio prison after serving time for burglary and vandalism. Neither Jacobs nor the boy’s grandmother Alana Anderson tried to hide their disappointment as they struggled for composure during a brief news conference outside Anderson’s home in Antioch, about 60 miles north of Aurora. The rest of Aurora seemed to share in the family’s disappointment. “I know the community won’t give up that he is out there,” said Nick Baughman, former principal at the school where Amy Fry-Pitzen took her 6-year-old son out of his kindergarten class on May 11, 2011, saying something about a family emergency. Wearing his backpack, Timmothy waved to his classmates, saying “See you tomorrow,” teacher Cheryl Broach recalled. The next day, according to video footage released later by police, the boy and his mother were seen leaving the Kalahari Resorts in the Dells. That was the last time the two were seen together. When Fry-Pitzen checked into a motel in Rockford, Illinois, about 120 miles away, on May 13, she was alone, according to police. The next afternoon, her body turned up but with no sign of her son. A note she left said the boy was being cared for by someone who loved him in a place where he would never be found. In the first days of the search, police said they found a significant amount of blood in the SUV’s back seat, and tests confirmed it was the boy’s. That news initially terrified Anderson, but the boy’s father explained that his son had a history of nosebleeds and had suffered a serious one just days before he disappeared. At Greenman Elementary, classmates, teachers and parents tried to help by tying hundreds of yellow ribbons around trees and signs. A garden was planted in Timmothy’s memory. Police tried to piece together the route Fry-Pitzen might have taken in her SUV, but in the years that followed, authorities never offered a public explanation for her actions. Reported sightings of the boy went nowhere. Investigators became frustrated by what they called hoaxes. Family members knew that Fry-Pitzen had been troubled. A woman who was close to the family and whose children played with Timmothy said she noticed something amiss the morning he was taken out of school. When Fry-Pitzen died, she was on her fourth marriage, Anderson said. Her daughter had battled depression for years and was taking medication. James Pitzen, who could not be reached for comment Thursday, ultimately moved back to Iowa, Anderson said. After a while, the flood of calls between him and his wife’s family slowed to a trickle before stopping altogether. If there were troubles at home, they weren’t obvious in the behavior of young Timmothy. He often played with her children and enjoyed their backyard trampoline. He loved to learn and talked about learning Spanish.